Curling up with a child and reading a great children’s book is a very satisfying experience. Writing a good children’s book is harder than it may seem. The book must be succinct and simple enough for a child to understand, while at the same time being creative enough to capture her imagination and attention. 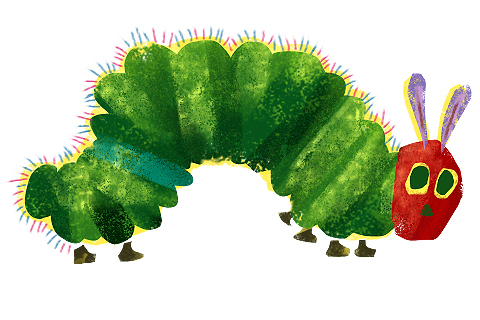 “The Very Hungry Caterpillar,” written and illustrated by Eric Carle, is one the all-time classic children’s books. It tells the story of caterpillar that eats his way through the week and the book itself starting with an apple on Monday. At the book’s conclusion he turns into a beautiful butterfly. First published fifty years ago, “Where the Wild Things Are” by Maurice Sendak is a children’s book no home library should be without. It was awarded the Caldecott Medal, the most distinguished prize in Children’s literature, in 1964. It has since been made into a movie and an opera. “Good Night Good Night Construction Site” is a wonderful rhyming tale about what happens to all the trucks at a construction site at the end of the day when it is time to go to sleep. Sherry Dusky Rinker is the author and Tom Lichtenheld illustrated the book. “Dear Zoo,” written and illustrated by Rod Campbell, tells the story of a child looking for just the right pet. It is a very engaging book for children as they can lift a flap, or door, on each page to fully view the prospective pets. Written and illustrated by Anna Dewdney, this book is one of a number of the “Llama Llama” rhyming books. It tells the story of a llama who becomes scared after being tucked into bed and the lights are out. Written by Dr. Martin Jr., an elementary school principal, “Chicka Chicka Boom Boom” is lively story that incorporates the letters of the alphabet. “Olivia” is one of the many delightful stories Ian Falconer has written and illustrated about the adventures of Olivia the pig. “The Polar Express,” written by Chris Van Allsberg, is a Christmas classic that won the 1986 Caldecott. It was made into a movie in 2004 starring Tom Hanks. Tallulah’s Tutu tells the story of little girl who wants more than anything to wear a tutu to ballet class, but she must achieve a certain level of proficiency before being able to do so. Author Marilyn Singer’s well-written text accompanied by Alexandra Boigner’s colorful illustrations make this book a pleasure. From a hungry caterpillar to a classic penned by one of masters of children’s literature these ten children’s books will delight children and adults alike.